Beaumont’s future is the brightest it has been in years. With the illegal activity and red ink behind us, we now have an honest, stable government which is attracting more new businesses, and generating more local jobs. Check out what’s happening in Beaumont. In 2014 the voters of Beaumont, honored me with your trust. Your new team of representatives immediately began to uncover the City's true financial condition. This resulted in search warrants, arrests, convictions, and, finally, cash repayments to our citizens. * We eliminated deficit spending. * We replaced all upper-level Beaumont employees, improving the quality and efficiency of civic operations. * We lowered Mello-Roos (CFD) payments by over $4 million, ending unnecessary expenses for 88% of homeowners in M-R developments. * After our WRCOG success, the City began receiving sales tax dollars for road repairs, and we established Beaumont’s first-ever street maintenance team. We have launched an aggressive five-year plan to repair all the city's major thoroughfares. We have assembled an outstanding team, both on the City Council and among the staff members who serve Beaumont residents. However, there is still much work left to repair the damage done over past decades. I am asking you, my neighbors, to grant me the privilege of continuing to serve our community, and finish what the voters started four years ago. What Do YOU want for beaumont's future? The City Council is a little more than half way through a two-year process to update the city's general plan. The general plan is a guide for growth and land development for Beaumont, for both the current period and the long term. The plan addresses important community issues such as new growth, housing needs and environmental protection. Every county and city in California is required by state law to have a General Plan, and the plan is required to be up to date. Beaumont's last update is more than 10 years old. We created a task force made up of community members and stakeholders. We've conducted community meetings, workshops, and online surveys. Last month we held a General Plan community meeting where two general concerns were repeatedly expressed during public comments. The first was about losing our small-town feel. The second was about balancing home development with adequate infrastructure. For most Beaumont citizens I’ve spoken to, these are two of the most common concerns. I moved to Beaumont because I found a home that met my family’s needs and was more affordable than ones closer to my work. I was attracted by a small-town feel, recreational opportunities for my kids, and good schools. I knew, in the short term, I would be driving to Redlands or the desert for shopping, dining and entertainment but I believed the promise of more retail, restaurants and entertainment that the City of Beaumont’s website promised. The recession of 2008 followed a couple years after I moved here and economic development came to a halt. In 2014, I was elected to the Council the worst of my fears were confirmed. We learned of our true financial condition and it became clear the infrastructure necessary to support future economic development would once again be put on hold. Now, three years later we are rebuilding our financial future and we are beginning to address our infrastructure needs. The WRCOG settlement has enabled the city to direct more resources towards infrastructure but there is still a long way to go. We know our community wants to maintain the opens spaces and small-town feel that we all moved here for but we also realize our community needs more infrastructure just to catch up. Now we need to plan for investments into the infrastructure we need and at the same time we want to preserve the open spaces and small-town feel? The council members know the community wants to see more retail and entertainment businesses instead of more dollar stores and auto parts stores. How do we attract the businesses we now drive to Redlands and the Coachella Valley for? How do we bring businesses that will employ our residents and transform Beaumont from a bedroom community to a self-sustaining city? After I was elected to the City Council, I reached out to Costco, Target, movie chains and dining establishments to find out what we need to do to attract their business. There is one common answer, more rooftops. The residents we have here now aren’t enough, they are more interested in the potential future market? They need to know what is Beaumont’s plan for growth? A city's two primary sources of revenues for funding operations and providing the services our citizens need, are property and sales taxes. We will need to upgrade our infrastructure and grow our population to attract the businesses and home owners we need to grow our annual sales and property tax revenues. We could design a general plan that discouraged home development but we wouldn't be able to fund our infrastructure needs. With insufficient infrastructure and no future growth potential, Beaumont will no longer be the place young families and retiring seniors will want to move. This will have a negative impact on home values, the most significant investment most of us have made in our family’s future. The Council understands the importance of our decision and we take our responsibility seriously. We have authorized moving forward with an environmental impact report, EIR, that will provide us guidance towards responsible growth. We are seeking guidance from our community on what balanced growth they want for Beaumont’s future. There will be more public hearings and council meetings to voice your opinion. Please contact City staff or a council member to make sure you don’t miss your opportunities to voice your opinion and be a part of the planning process. In May of 2015, from the findings of an independent audit the new council ordered immediately after taking office, we learned the city’s reserves were gone. Were they stolen, embezzled, misappropriated, or all of the above? The city’s financial director, William Aylward, resigned days before the independent audit was to be released to the public. In December 2017, he was one of the 6 Beaumont officials to have plead guilty to committing a felony. Aylward had not been following sound accounting policies and his records would be incomplete at best. Our problem was that many of the records he and Kapanicas would have kept were in the hands of the DA. We feared we would soon be facing bankruptcy. The mismanagement by previous councils and Kapanicas resulted in awarding lucrative, non-competitive contracts to Urban Logic Consultants whose principals are also now admitted felons. Decisions made by Kapanicas, with direction from the City Council, were putting the interests of Kapanicas and ULC ahead of the citizens of Beaumont. While other cities were cutting staff and services during the 2008 recession, Kapanicas was boasting that City of Beaumont was the only city not laying off employees. He convinced council to spend more than a quarter of a million dollars year after year for summer concerts even though reserves were being used to hide deficit spending. Annual deficits were in the millions during Kapanicas’ final years. There have been repeated claims by Elizabeth Libi Uremovic of hundreds of millions of dollars stolen from the citizens of Beaumont, this is not true. I addressed this in a post on my OurFocusOurKids.com blog $400 MIL MISSING - $350 MIL EMBEZZLED FROM CFD BONDS. Claims have also been made that the principals of Urban Logic, Dillon, Eggers, and Moorjani, along with help from Kapanicas, stole $42 million from the citizens of Beaumont. Some would have you believe they took the $42 million in TUMF monies loaded it in a truck and drove it out of town. This perception is inaccurate, it arises from a misconception about the basis for the criminal charges that resulted in conviction of the former principals of Urban Logic Consultants. The city was a voluntary member of WRCOG (Western Riverside Council of Government) which with the passage of Measure A, voters had authorized to establish a TUMF (Transportation Uniform Mitigation Fee) program to address the need for regional transportation infrastructure. This was a voluntary program but a city had to join in order to receive the Measure A 1/2 cent sales tax revenue. Beaumont's council decided to participate and adopted a TUMF ordinance requiring TUMF funds to be collected from developers and remitted to WRCOG to pay for regional transportation projects. ULC principals knew the TUMF program would result in other engineering firms competitively bidding for design and management of regional projects. if the city retained control of the projects, ULC's contract with Beaumont guaranteed they would earn up to 9% of the project costs. ULC principals‎ used their positions as city officials to influence the city to divert TUMF money away from WRCOG to local city projects and their firm received millions. Influencing decisions where ULC had a financial interest, violated govt code section 1090, this is what the ULC principals were convicted of. The criminal defendants have been ordered to collectively pay about $11.2 million in restitution. In addition, the city has pending lawsuits against Urban Logic Consultants and also the former City Attorney. We also have a $15 million claim against the city's theft and dishonest insurance policy and are working on additional possible claims against other parties that we cannot discuss at this time. Our agreement with WRCOG requires the first $9 million we receive in loss recovery from the criminal defendants, lawsuits and other claims, be submitted to WRCOG and credited towards settling our debt. After that amount was reached, we began sharing in future loss recovery dollars. However, if we had not been able to meet the minimum $9 million requirement within 5 years, we would have to begin paying a guaranteed amount. Some have criticized the DA and the City for settling for too little. The DA recognizes no criminal trial presented to a jury is a sure thing. Even if you prevail, it could be years before the city or WRCOG would see any of the funds. The plea deals reached between the DA and the convicted felons resulted in their restitution coming from cash and assets already frozen by the court, meaning a shorter recovery time. As a result of the plea bargains, the guarantee of the first $9 million of loss recovery has been met and nothing will be paid out of Beaumont's general fund. Protecting the general fund was a primary goal of the city council. Now, almost three years after we discovered the true financial position of the city, there still is no clear answer to what happened to all of the money. We know much of it found its way into Urban Logic's profits through non-competitive contracts and inflated fees. We know ULC principals‎ used their positions as city officials to influence the city to divert TUMF money away from WRCOG to local city projects and their firm received millions because they admitted to it in their statements to the court. We know Aylward and Kapanicas helped by misappropriating and embezzling the funds to ULC because the admitted to it in their statements as part of their plea deals. Can we quantify the amount misappropriated? No. Every time the council makes decisions resulting in significant costs, decisions other cities make on a routine basis, we realize we are going to hear, "Why don't you go get more of the funds stolen by Kapanicas and the gang before asking more from the tax payers?". I want to assure our citizens we are doing everything we can to recoup our losses but we will never be able to make the city completely whole, even if we were able to quantify the financial damage caused by our predecessors. We will do our best to continue to move our city forward which means making necessary, and often unpopular, decisions. Each of us made a commitment when we volunteered to serve our community to always put the interest of our city above the interests of all others. This Beaumont City Council is honoring its commitment. The City of Beaumont is taking on two of the most significant and costly projects in recent memory, probably in all of the city’s history, the Potrero Interchange and the Waste Water Treatment Plant (WWTP) expansion. Both projects will benefit the city but both projects have created a lot of discussion and some controversy, as expected. Following is a brief summary of the projects. 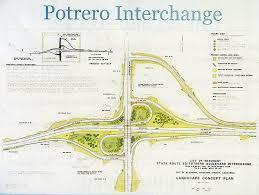 The city breaks ground this week on Phase 1 and Phase 1A of the Potrero interchange at State Hwy 60. Phase 1A consists of constructing acceleration and deceleration lanes. Phase 2 Will include constructing partial cloverleaf interchange and ramps providing full freeway access (ingress and egress in both directions) and will be undertaken after the earlier phases have been completed. More than $13 million-dollars of tax payers’ money had already been spent on this project for design, environmental and right of way acquisition of phases 1, 1A, & 2 before Kapanicas and Urban Logic Consultants (ULC) principals left town. Much of the money was directed towards contracts involving ULC. These contracts were awarded by previous councils without competitive bidding. The city most certainly paid too much for ULC's work. Another $21.6 million is needed to complete phases 1 & 1A. $13.4 million in State and Federal Grant funding has been acquired leaving a funding gap of about $8.4 million. The city council approved the completion of phases 1 & 1A on one condition, the gap must be covered with cash from the property owners, those benefitting the most from the interchange, No more tax dollars would be spent to complete the first phase. The cash has been deposited by the land owners in the bank providing the city the working capital needed for construction. The city will use the cash to fund the construction and later will be reimbursed with the grant money through the Riverside County Transportation Commission (RCTC) the stewards of the government money. The settlement of the WRCOG (Western Riverside Council of Governments) resulted in the City of Beaumont rejoining WRCOG's TUMF (Transportation Uniform Mitigation Fess) program and makes it possible for the city to apply for TUMF credits for the Potrero project. If the project is approved as TUMF eligible, property owners will receive credit towards their DIF (Development Impact Fees) , and if authorized by WRCOG, credit towards TUMF. Phase 2 of the project doesn’t have a funding plan established as of today, although Phase 1 presents mobility and economic value as a stand-alone project. Completing phases 1 & 1A will open up the area south of SR 60 to economic development. This area has been zoned for commercial and industry and will provide much needed, long term tax revenue for the city. Completing phases 1 & 1A will not only secure the grant funding for Beaumont, it will guarantee the $13 million of tax payer funds already paid into this project will not be completely wasted. The fact that land owners have provided the cash flow the city needs to move forward on the project and that no more tax dollars will be contributed to the first phase is a huge win for the citizens of Beaumont. The City's waste water treatment plant (WWTP) has reached 75% of its permitted capacity of 4 million gallons per day (mgd). Per the City’s NPDES permit from the Regional Water Quality Control Board (Board), once the WWTP reaches 75% capacity the City must begin the process of planning and constructing an expansion to add capacity. The Board’s Basin Plan establishes the discharge requirements for WWTPs within the watershed. In 2015, the Board adopted a Basin Plan that requires the City to reduce the total dissolved solids (TDS or salts) in the WWTP discharge and future recycled water. The City has selected to implement reverse osmosis treatment to reduce TDS, and the Board has issued a compliance order establishing mandatory timelines for the completion of the WWTP expansion and TDS treatment. The reverse osmosis treatment removes TDS from the water and creates a brine waste product that must be disposed of. The deadline for complying with the order before fines will be assessed against the City is to have the new treatment facilities operational by 2020 and mitigate for excess TDS complete by August 2025. Also, a failure to comply by the deadline could result in a cease and desist order from the State, which could lead to a moratorium against all development, residential, retail and commercial. This result is not acceptable. The WWTP expansion and salt mitigation facilities will cost the City approximately $110 million, $65 million for the plant expansion and another $45 million for a brine disposal pipeline to connect to the Inland Empire Brine Line (IEBL). The City’s brine line will be 12-inch diameter and 23-miles long. It will be constructed from the City’s WWTP to San Bernardino where it will connect to the IEBL. The IEBL pipeline extends from San Bernardino to Orange County Sanitation District’s (OCSD’s) treatment facility in Fountain Valley. The brine disposal cost includes the purchase of pipeline capacity in the IEBL as well as treatment capacity at OCSD’s facility. The existing sewer rates will provide the debt service to fund the plant expansion but does not cover the cost of the brine disposal facilities or connecting to the IEBL. The decision to increase sewer rates on a community who has already given so much and have been so damaged by the previous council and administration is not an easy one for this council to make. We have already increased sewer connection fees on homes developed in the future from $3,194 to $5,125 per home to ensure that the new developments pay their share of the costs. Unfortunately, the City won't be able to cover the costs without a rate increase. The City Council has directed staff to begin the Prop 218 legal process to raise sewer rates to meet the cost to comply with the Santa Ana Regional Board's order. This process requires a notification of the fee increase followed by a public hearing 45 days later and an opportunity for rate payers to protest in writing. If more than 50% of the rate payers file a protest, the increase will not be implemented. There are so many important questions that need to be answered that the City Council instructed the staff to go above and beyond the legal requirement and hold community meetings to address everyone's concerns. The first meeting was held earlier this month and the next meeting will be on February 15th. I urge you to get involved and make your voices heard. Our predecessors obviously should have planned better for the expansion and brine removal. They talked about it for years but didn't responsibly manage our resources to make it happen. This council is committed to reverse the practices of the past and provide our community with a transparent and responsible government. Every decision this council has made has been in meeting this commitment. Three years ago the city was on the brink of bankruptcy. We were facing judgements, pending lawsuits and RDA (Redevelopment Agency) obligations - all totaling more than $100 million. Now we are operating under balanced budgets; rebuilding reserves; and are completing long overdue projects promised by previous councils and administrations. This was not all done by the council alone. We have assembled an outstanding team that has made our amazing rate of recovery possible. We have made the difficult decisions to put the future of the City of Beaumont above all other concerns. We have come a long way towards reaching our goals and we still have a ways to go. We know what needs to be done and we are committed to getting the job done.